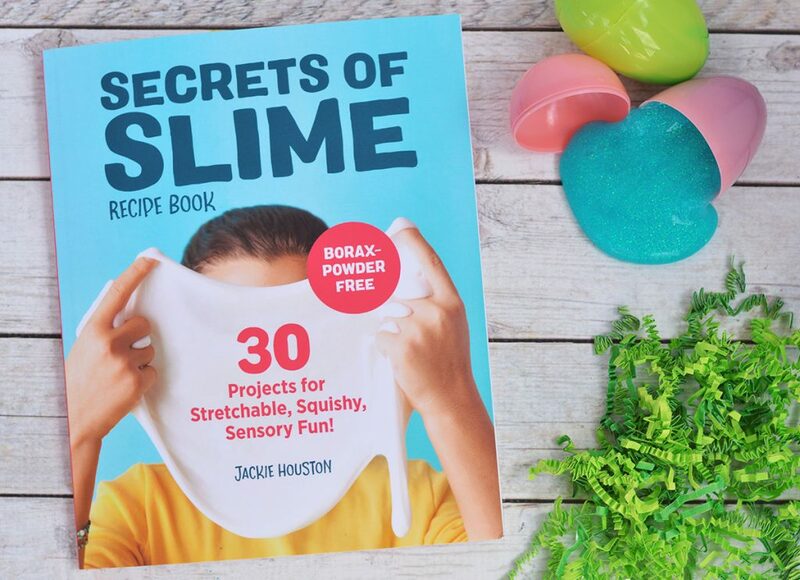 It’s officially launch week for our first book SECRETS OF SLIME and we are SO excited to show you what we have been working so hard on! 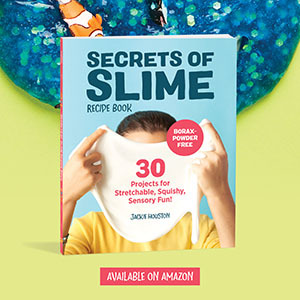 This book is the complete guide to making fool-proof slime. By the end of the book you’ll be able to even create your own slime recipes! Pre-order your copy here on Amazon. With Easter around the corner, we decided to share our Easter basket idea perfect for your little slime lover! 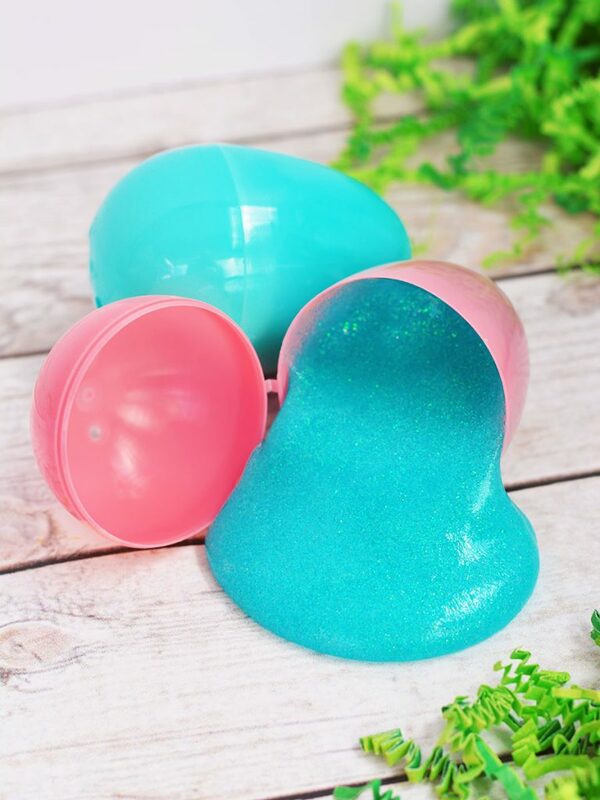 If you’re looking for the perfect Easter basket that doesn’t involve candy, then this Slime Easter Basket Idea is it! This DIY Slime Easter Basket includes all of the materials needed for your child to get started making and creating their own slime creations! 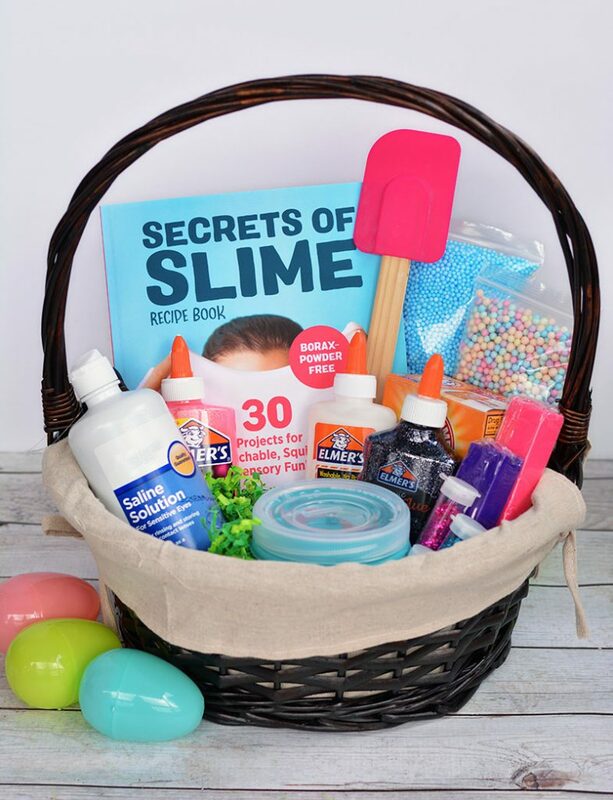 The basket includes our MUST-HAVE Secrets Of Slime Recipe Book which will walk them through easy step-by-step instructions, 30 no-fail recipes, and a blank slime dairy in the back so they can make their own crazy-cool concoctions. Glue – White, Clear, Glitter, etc.